Bluejay Pharmacy maintains a staff of pharmacy technicians and pharmacists at our locations in Spring, Texas and Shepherd, Texas. We are a small, but dedicated team that is motivated to provide quality, compound pharmaceuticals and nutritional products and services within our communities and surrounding areas. 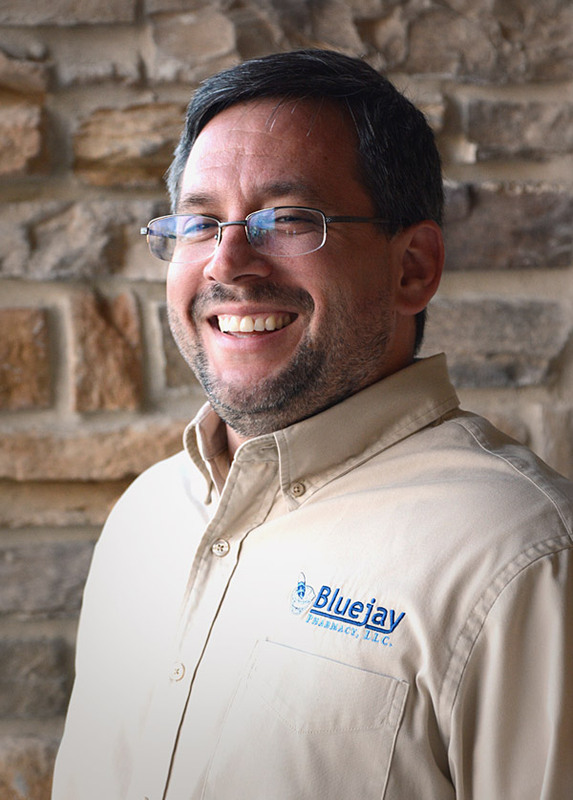 The founder of Bluejay Pharmacy, Tim graduated from Texas Lutheran University in 1998 with Bachelor’s degrees in Chemistry and Molecular Biology, as well as Political Science. This was followed by a Master’s degree in Chemistry in 2001, and a Master’s of Business Administration in 2003 from the University of Houston, Clear Lake. Tim went on to apply his education and aptitude for both science and business in the specialty chemicals arena where he spent time as an account manager and research chemist for a specialty chemical company. He has also worked as a financial services advisor, technical service manager and independent business development consultant. In 2010 Tim began pharmacy school at Creighton University bringing him closer to his goal of becoming a pharmacist and independent business owner. During his time in pharmacy school Tim worked closely with Creighton Maynard at Professional Compounding Centers of America (PCCA). This PCCA education included advanced compounding, veterinary compounding and business development. Tim participated in educational and training rotations at various locations such as retail pharmacies, compounding pharmacies and hospitals, and he took part in the National Community Pharmacists Association (NCPA) workshop. Tim received his PharmD degree in May 2014. Tim is a Fellow of the American Academy of Anti-Aging and Metabolic Medical Institute.